Sono un DiSognatore: Second one! The Lich. Here we are! Another work! 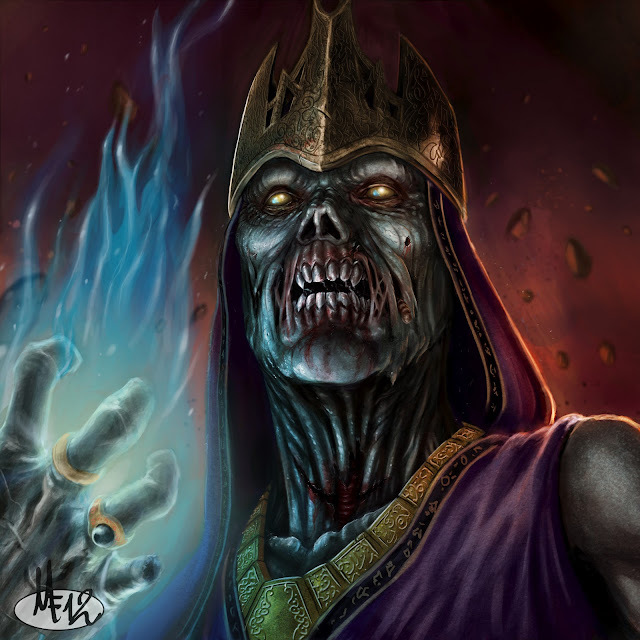 As you can see the second piece is a Lich, he miss a finger, someone cut his throat, and he's angry! All done in PS CS3 with a s*** Bamboo.